This Genuine Honda Car Care Kit includes Glass Cleaner, Carpet Spot Remover & Lether & Vinyl Protectant. All tint safe, no streak formula. Ammonia fre., Removes smudges, dirt, fingerprints and oily fingers. Excellent for chrome and plastic cleanings. Leaves no film or residue. Contains no chlorinated solvents. Low VOC formula meets or exceeds current CARB and OTC standards. Removes both organic and inorganic spots. Doesn't contain any harsh chemicals, phosphates, NPEs or caustic materials. Will not stain or fade most carpets. Low odor formula. Low VOC formula meets or exceeds current CARB and OTC standards. 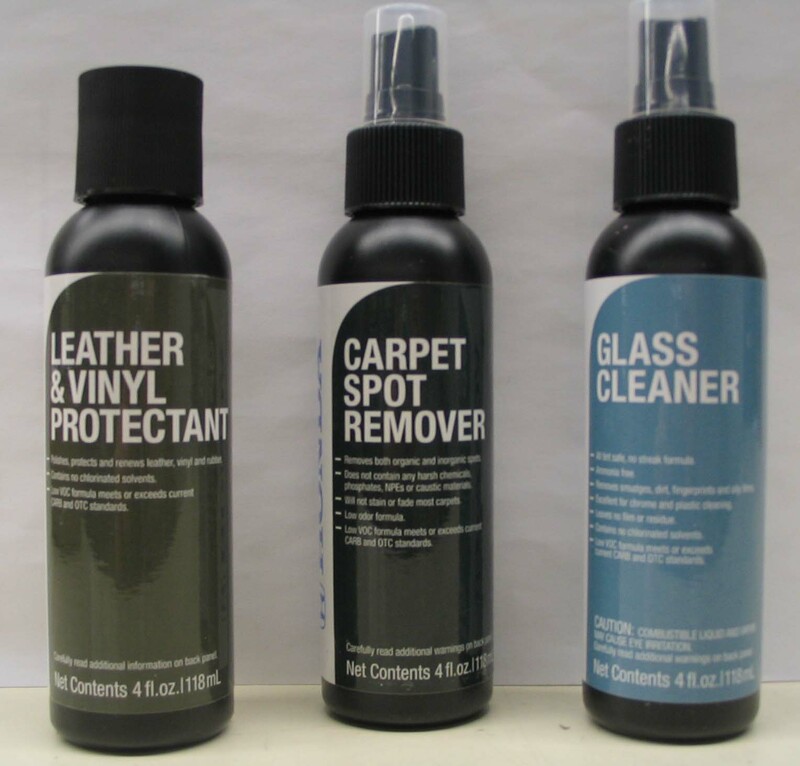 Polishes, protects and renews leather, vinyl and rubber. Contains no chlorinated solvents. Low VOC formula meets or exceeds current CARB and OTC standards.